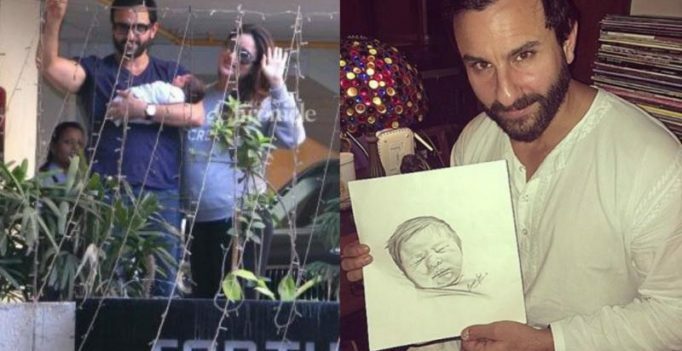 Saif and Kareena with the baby and Saif posing with the sketch. Mumbai: Saif Ali Khan and Kareena Kapoor Khan welcomed a baby boy, Taimur, in their lives on December 20. While pictures of Kareena and Saif in the hospital with the baby went viral, the couple gave a glimpse of the baby to the media outside their home few days later. While we are still waiting to see a proper glimpse of the baby, an artist has beautifully captured Taimur in a sketch. 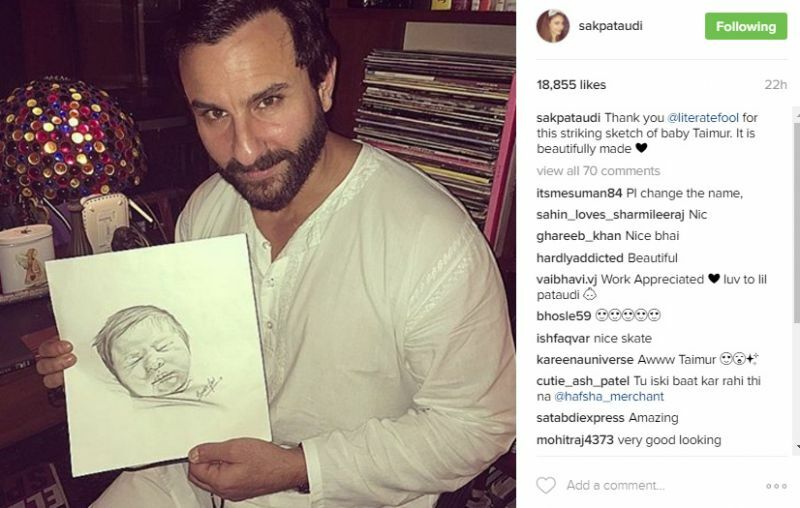 The family has also loved the sketch and Taimur’s aunt Soha Ali Khan shared the picture of Saif posing along with the sketch on Instagram and captioned it as ‘beautifully made’. Saif and Kareena have been spotted at various locations since the birth of their son and according to reports, the three of them would travel to Europe where Saif will be shooting for his film ‘Chef’.